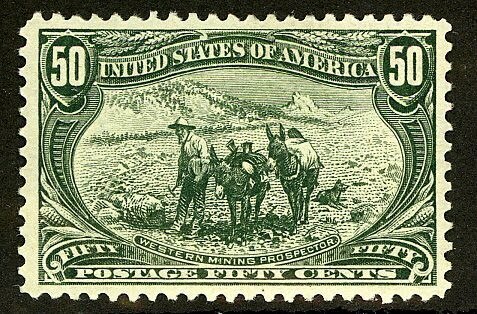 With this article, I am initiating coverage of stamps of the Straits Settlements, a former British colony which once comprised the settlements of Malacca, Singapore, and Penang. In 1907, the Brits issued an overprinted set (Scott #134A-44) for the Straits Settlements by overprinting eleven stamps from their 1902-03 set issued for Labuan, an island possession off the Northwest coast of Borneo. 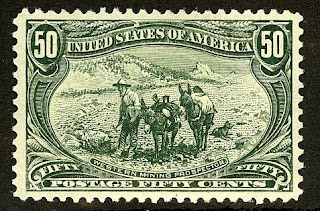 Only 4,000 sets were issued, and Scott '11 values the set unused at $553.25 . 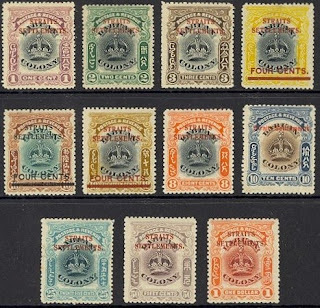 Better stamps of the Straits Settlements are attractive because they have multiple market appeal to collectors of British Commonwealth, Singapore, and Malaya/Malaysia- all of which represent growing markets. I expect that over the long-term, the Malaysian stamp market will contribute the most to strengthening demand for stamps of the Straits Settlements and the Malayan States. In an earlier blog article, I commented on a Price, Waterhouse report which projected which countries' economies would grow the fastest over the next 40 years. Malaysia came in tenth on that list.